Mrs. Orlando welcomes our students with the “Hello Song” before beginning her music lessons as the children sit on colorful rugs in the Music Room. She teaches the children all the wonderful songs we hear at our Halloween Parade, Thanksgiving Feast, Christmas Pageant, and Mother’s Day Tea. The children learn about rhythm, tempo, dynamics, and all types of music and instruments. 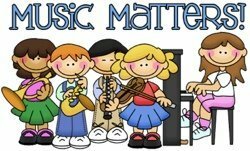 Here’s a great article on the Twelve Benefits of Music Education.